According to the U.S. Environmental Protection Agency (EPA), the average adult takes anywhere from 17,000 to 23,000 breaths per day. In a perfect world, this would mean each one of those breaths would draw clean, pure, highly oxygenated air into your body. But as we know, the world we live in today is far from perfect when it comes to overall air quality. While we have long been aware of the various hazards in our outdoor air, recent research from the U.S. EPA indicates our indoor air is even worse! In fact, the average Canadian’s indoor air is anywhere from two to five times more toxic than the air outside. As more Canadians learn about the hazards of indoor air, the demand for indoor air quality aids increases steadily. This year, the reigning star is a previously little-known appliance called the heat recovery ventilator! A heat recovery ventilator, or HRV for short, is a system that provides balanced indoor air ventilation. What this means is that not only is your indoor air supply refreshed on a schedule that meets or exceeds the current standards for residential ventilation, but it also provides two other critical services: balancing indoor air humidity levels and energy-efficient air warming and cooling. The first is to keep your indoor humidity levels balanced. 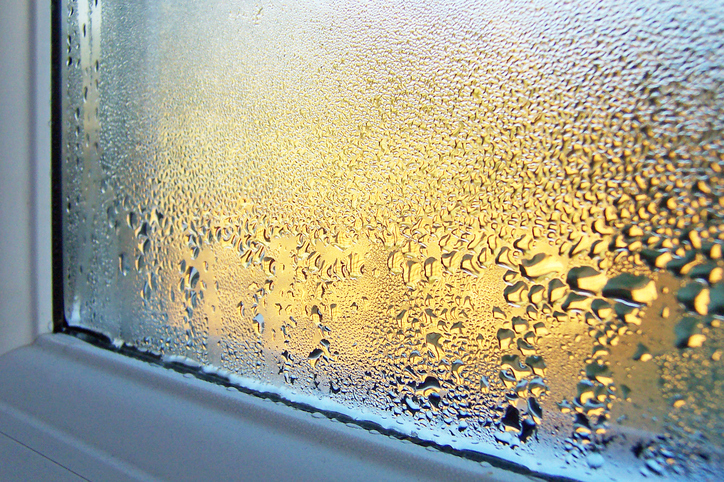 Current standards aim for keeping indoor air humidity between 30 and 50 percent year-round. Where your indoor humidity levels fall naturally along this spectrum can depend on several factors, including the age of your home, how weather-tight it is and your own preferences (some people like more or less humid air). Both old and new-construction homes present special challenges in balancing indoor air humidity levels. With older homes, air leaks can cause humidity to leak in or out depending on what is going on seasonally outside. With newer homes, airtight construction can prevent trapped humidity from leaving—or keep indoor air much drier than you might like. A heat recovery ventilator actually takes its name from the ability to recycle heat energy to warm up or cool down your indoor air. A heat recovery ventilator has two completely separate airstreams—one outgoing and one incoming. The two never meet but are connected by a heat exchanger core. The HRV uses this core to transfer heat energy where it is needed (or not needed). In winter, heat is extracted from the stale outgoing air and used to warm up the fresh incoming air. In summer, the opposite process occurs. This keeps your indoor air temperature-balanced just by using the heat energy that is already present in the air. Even better, this process of heat extraction and transfer (exchange) keeps your monthly utility bills lower! A heat recovery ventilator is one of the most energy-efficient indoor air quality appliances available for homeowners today. As of 2017, Ontario has made installation of heat recovery ventilators an energy-efficient requirement for all new-construction homes. This new ordinance (SB-12) is part of an overall push to boost energy efficiency by more than 15 percent in coming years. More important, the addition of enhanced ventilation can help solve a problem called “tight home” that is unique to new-construction homes. These homes are so airtight that there are no small cracks or fissures to allow trapped indoor moisture to escape naturally. Without an escape route, the moisture quickly turns into mildew and mould, an ongoing issue the installation of heat recovery ventilators is designed to correct. There is a lot to love about heat recovery ventilators! Check out this list of benefits! These nifty, compact, aftermarket appliances can be retrofitted to work with any central ducted HVAC system. They naturally balance the humidity in your indoor air year-round, which means you no longer have to juggle a system of humidifiers and dehumidifiers to stay healthy seasonally and keep your home mould- and mildew-free. They use two different airstreams to conduct stale air out of your home and draw fresh air into your home, meaning you never risk mixing old toxins in with your new air supply. They use existing airborne heat to keep your indoor air temperate and comfortable, saving you money on utility bills in the process. They are easy to install and can be up and running within a day. Most important, the addition of a heat recovery ventilator to your home HVAC system ensures you will always have a steady supply of clean, fresh, oxygenated air to breathe! This is especially helpful if anyone in your family suffers from allergies, asthma or chronic respiratory distress. Does Your Home Need Better Ventilation? Unless your home currently uses a heat recovery ventilator, chances are high that you could use some extra ventilation assistance. However, there are some telltale signs your situation may be more urgent. One of the most obvious signs is if you notice a stale or musty odour in your home that seems to persist no matter how often you clean or use air fresheners. This is an indication you may have moisture building up inside your home. Another clear sign is when the insides of your windows persistently develop condensation, especially in extreme temperatures (hot or cold). Chronic respiratory issues, such as watery eyes, runny or clogged nose, headaches, mental fogginess, sore throat or coughing can also signal the presence of stale toxic air inside your home. Is this the year you add a heat recovery ventilator to your HVAC system? Give us a call at 905-544-2470 to schedule your complimentary consultation! P.S. Right now through June 30, 2018, save 10 percent on any indoor air duct cleaning system!